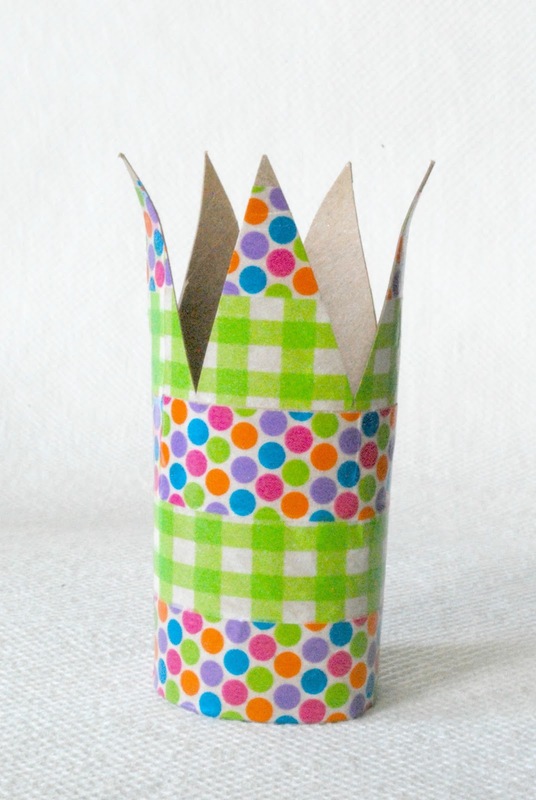 Yesterday was my birthday, so we (my sister and I) decided to make some fun birthday crowns. Today, I thought it would be fun to share the DIY with you. 1. Cut the shape of a crown out of one end of a toilet paper roll. 2. Paint the cut toilet paper roll. 3. 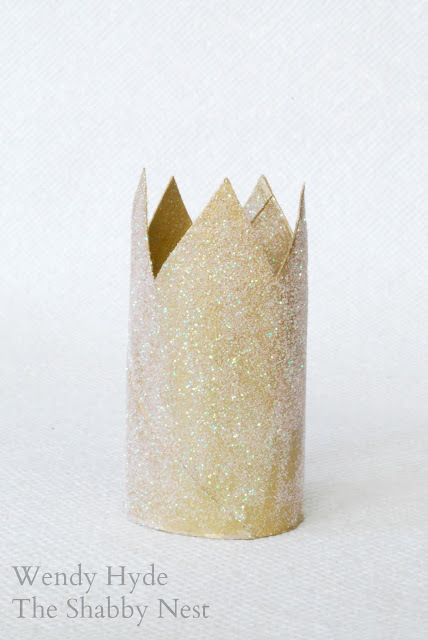 For a glitter crown, sprinkle the wet paint with glitter until the desired consistency is achieved. 4. Or, alternately, add washi tape to the bottom of the crown. 1. 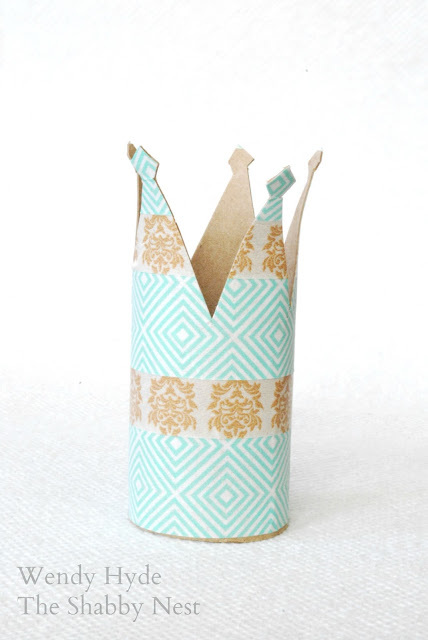 Alternate washi tape patterns along the entire length of a toilet paper roll. 2. 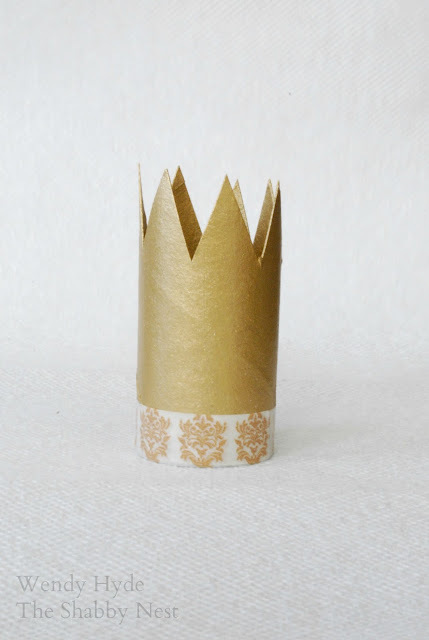 Once the toilet paper roll is covered, cut the shape of the crown from one end of the roll. To wear the crowns, you can add thin elastic or ribbon. 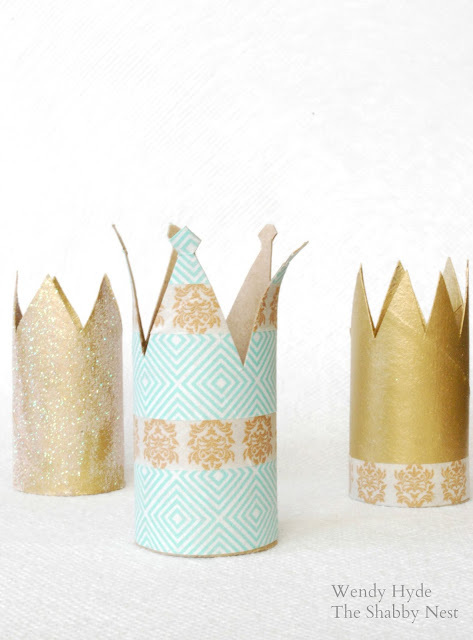 Or just use them for decoration!